Because of this, the Winchester Repeating Arms Company was the most successful gun company in the late 19th Century and the Winchester family became fabulously wealthy. In 1862, William Winchester, the heir to the family business and fortune, married the beautiful and intelligent Sarah Pardee. Four years later, Sarah gave birth to a daughter, Annie. The whole family lived together in a palatial mansion in New Haven, Connecticut. And then came a string of terrible tragedies. Baby Annie couldn’t absorb protein. And even with all they money in the world, Sarah Winchester couldn’t stop her daughter from starving to death before her eyes. Then, five years later William Winchester died from tuberculosis. He was 43 years old. According to legend, Sarah Winchester’s friends advised her to seek the services of a Boston spiritual medium named Adam Koombs. As the legend goes, Koombs put Mrs. Winchester in touch with her deceased husband—but William had bad news. 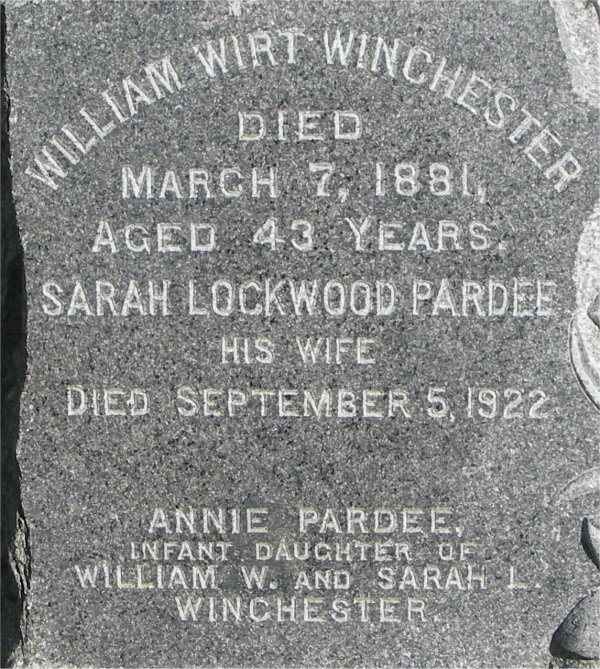 He told Sarah Winchester that she would always be haunted by the spirits who had been killed by Winchester rifles. Speaking through Koombs, William Winchester instructed Sarah to placate the spirits by building a structure that would perpetually grow to shelter the ever-increasing number of Winchester rifle victims. And if she did this, Sarah Winchester would gain immortality. Winchester rifles had killed a lot people. If Mrs Winchester was to appease their ghosts, she would need to build a very, very big house. And she had the money to do it. 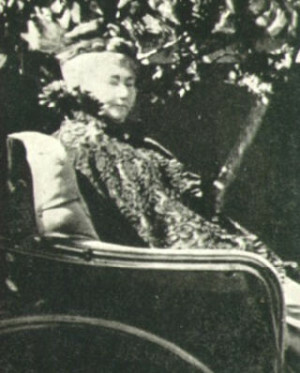 Having inherited her late husband’s stock in the rifle company, she was now one of the wealthiest people in the country. Sarah Winchester moved from New Haven to an eight-room farmhouse in San Jose, California. Right away she began remodeling. At any given time there might have been a dozen people there working on the house—carpenters, tile setters, painters, and electricians. Some reports estimate that her house swelled from 8 to 26 rooms in the first six months. Others claim there was no end to the construction—that Sarah Winchester’s crew worked on the house in rotating shifts, 24 hours a day, for 38 years. It also has doors that lead nowhere, staircases that stop halfway. For a long time no one was able to see the hodgepodge of styles and ornaments in this house except Sarah Winchester and her staff of eighteen house servants, thirteen carpenters, eight to ten gardeners, and two private chauffeurs. Sarah Winchester kept to herself. Supposedly she was also always shrouded in a veil. Sarah Winchester in 1920. Photographer unknown. 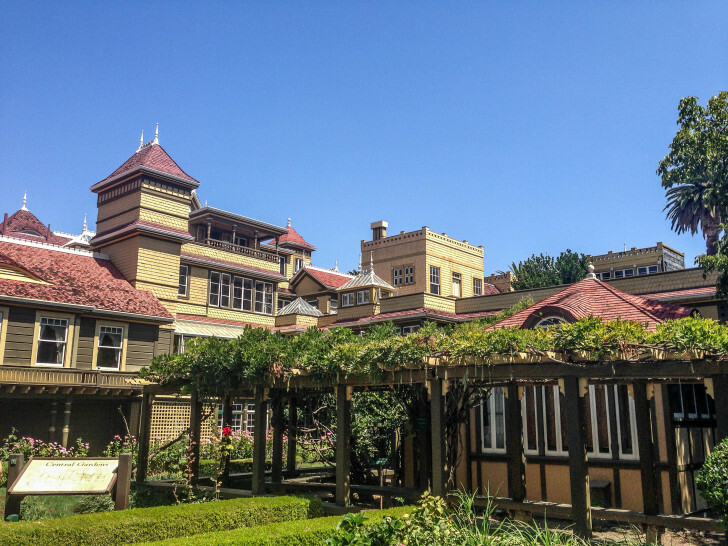 It’s unclear how much of the Sarah Winchester legend is true. We don’t know whether she attempted to commune with ghosts, or whether she built her huge house to placate them, or whether she felt guilty about her fortune coming from guns. After she died in 1922, the legends and rumors about her gained traction. Especially given that, in 1923, an entrepreneur named John H. Brown saw the possibility in the old decrepit estate and re-opened it as “The Winchester Mystery House.” Since then, it’s been the subject of all kinds of pseudo-documentaries on haunted houses. Today, you can buy a ticket to tour Sarah Winchester’s house. 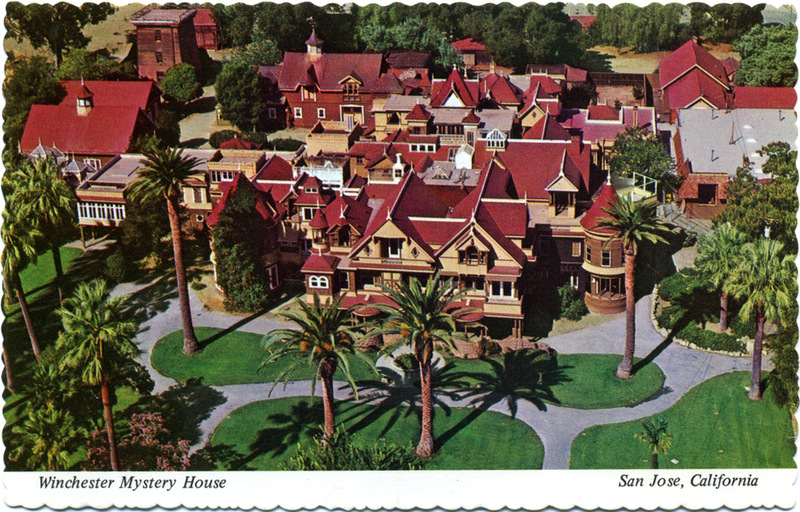 Soon you may also be able to stay overnight at the Winchester Mystery House. The widely accepted narrative about Sarah Winchester, and the one that the current owners of the house are selling, is that she was haunted by spirits. But not everyone is buying it. Historian Mary Jo Ignoffo explores alternative theories about Sarah Winchester in her book, Captive of the Labyrinth. Ignoffo found no evidence supporting the idea that Sarah Winchester communed with spirits. She believes that what drove Sarah Winchester to build was her desire to be an architect. Sarah Winchester lived at time when it was highly unusual for women to be architects. She wasn’t licensed, so her own home was the perfect place—and the only place—where she could practice architecture. Whatever her motivations were, Sarah Winchester built a house with more than 150 rooms, 2000 doors, 47 fireplaces, 40 bedrooms, 40 staircases, 17 chimneys, 13 bathrooms, six kitchens, three elevators, two basements, and one shower. She spent nearly all of her life being an architect. Reporter Ninna Gaensler-Debs spoke with Mary Jo Ignoffo, author of Captive of the Labyrinth, and architectural historian Mitchell Schwarzer. 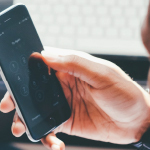 Slack– Slack is a platform for team communication: everything in one place, instantly searchable, available wherever you go. 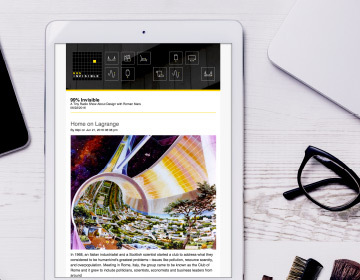 Hover– The best way to buy and manage domain names. New code: Winchester Tiny Letter– Email for people with something to say. Check out my new favorite Tiny Letter “The Podcast Broadcast” by Brittany Jezouit. Brilliant to hear the backstory behind this house. I recall watching a piece on this on Ripley’s Believe It Or Not when I was but a lad. 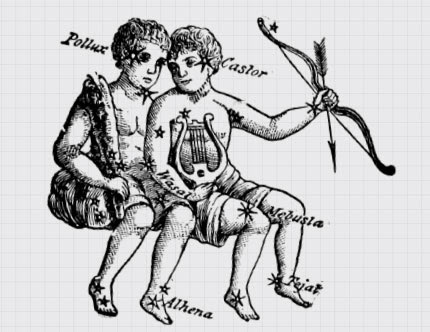 Still, I gotta admit I prefer the myth. I don’t think I buy the misunderstood female role model story. There are first hand accounts of her sleeping in a different room every night to avoid the spirits. It’s generally believed that she was suffering from schizophrenia. The guys at Stuff You Should Know did an episode on the Winchester Mystery House that was very detailed and, I feel, well researched. I’ve loved this story. Strangeness, voodoo, witchcraft and all the typical media fuss while all there was behind it is a passionate woman. I didn’t hear anybody call Sarah Winchester a “misunderstood female role model.” If you read Ignoffo’s book “Captive of the Labyrinth” you’ll see that “role model” was the last thing Sarah wanted to be. The documents and correspondence that Ignoffo uncovered tell Sarah’s story quite clearly, and often in her own words. But the American public never lets facts get in the way of their fun, and we love a good ghost story. If this was my great-grandmother, the folks who continue to malign her as a crazy old lady would be hearing from my attorney. Substantive research shows that she was elderly and ailing. What a rotten thing to do do a person who cannot defend herself, or her reputation. She was a practicing a Presbyterian who donated millions to charity. I am so tired of programs such as this one that concentrate on the hearsay. Thank goodness for reputable historians like MaryJo Ignoffo. She was my great-great Aunt. And yes, the family appreciates the rehabilitation of her good name by careful research. I’d say she did kind of live forever. We have this story about her more than 100 years later. Thank you for the article. I’m so happy to see that oil painting of Sarah. I’ve been to the house many times as I live only an hour away. I like you think that they have really embellished the ghost part just to bring in money. I believe that she was unable to have a career that she wanted. She might have been suffering from OCD or Depression or who knows what, just making her have “moods” to do things. The one thing that we know as a fact, think about this for a minute. This woman had more money than you can imagine. Her husband that she loved was dead. Her baby had also died. And she was living in a situation where women had certain social norms. You can say “Well I would have done this, or done that” but you can’t know that. We didn’t live in those times. Also just because some women in that era bucked tradition, does not mean that Sarah was capable of doing that. She might not have wanted to travel or entertain or whatever for many reasons that we don’t know. She found herself a hobby and went all out with it. She was very kind to her household from what I heard, and also the neighboring community. I have OCD and I don’t understand why you brought it up? 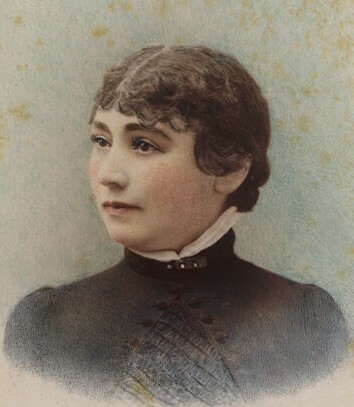 Thanks to Mary Jo Ignoffo for the many countless hours of original research she did to balance what has become a profitable, commercialization of Sarah Winchester with the facts. Sarah Winchester DID gain immortality. More so than if she lived a boring life in a boring house. Nobody would know her name almost 100 years after her death if that was the case. She has her own Wikipedia entry. If that’s not immortality I don’t know what is. What else to say? People prefer ghost stories over history. I myself used to, but as I’ve aged I’ve become less interested in the supernatural and far-fetched and more interested in TRUTH and simplicity. Thanks so much for this interesting and lovely piece. 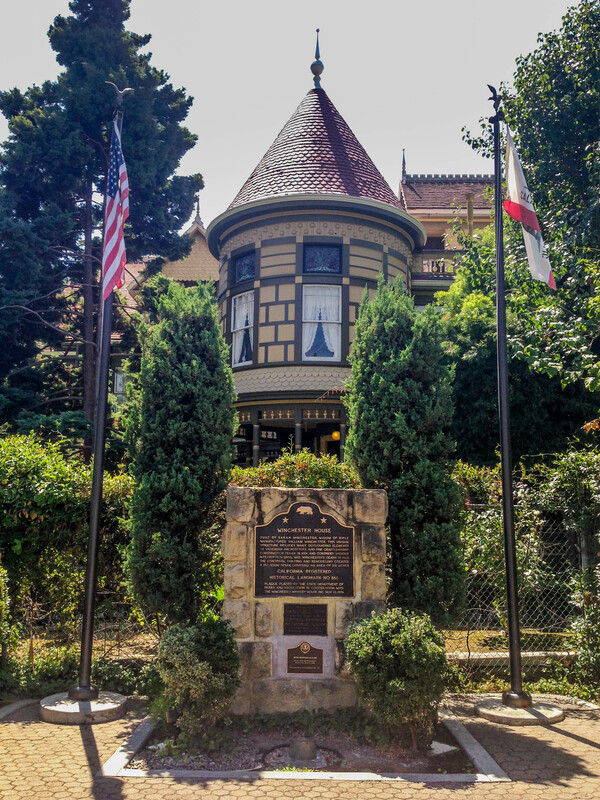 My wife and I have also visited the Winchester House, and like you and Mary Jo Ignoffo, we found the “mad woman” story a bit hard to swallow, at least in the version they pitched to us on the tour. My wife, Joni Tevis, is a writer; in her new book of creative nonfiction titled THE WORLD IS ON FIRE, she has an essay about our experience there, and about her sense of Sarah Pardee Winchester as a woman dealing with grief through art. In some ways, interestingly, she comes to some of the same conclusions as Ignoffo, though Joni’s work does not aim to be a historical interpretation. Along the way, she also delves into the history of nails, the structural architecture of spider webs, and recommends some good 19th century entomologists. I think you might really dig it. Check out her book on http://www.jonitevis.com. Thanks again for a wonderful program. 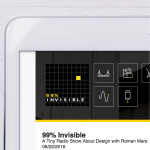 Fantastic story and new insight, thanks 99% invisible. Enjoyed this broadcast very much! $33.00/ticket to take the tour and hear the stories…..I wonder what a ticket for the truth tour would sell for? The hand-tinted ambrotype of a young Sarah Winchester was taken in 1865. The recent book “Ghostland” by Colin Dickey throws even more cold water on the theories about Sarah Winchester. For one thing, she spent most of her later years at another house she owned in Atherton. But more importantly, John H. Brown was an amusement park operator before buying the house and opening it to the public for tours. There’s other evidence in “Ghostland” about the Winchester Mystery House as well, but those two facts struck me as rather damning. The lady was nutz and believed she really would gain immortality.